It’s all very well for us here at phentermine.com to offer you tips about how to succeed on phentermine, but the best source of advice has to be those who have been there and done that, namely the people who have contributed to our phentermine.com Success Stories. We’ve gathered some of the best advice they offer to compile five phentermine weight loss lessons so that you can achieve your own success story too! All of our success stories started with a different motivation, be it wanting to get healthy for their family, or because they saw a photograph which made them realize just how much weight they had gained. However, no matter what your reasons for wanting to start, you have to lose weight for you – and we don’t mean the person you see in the mirror or even the person who those close to you know and love, we mean the ‘you’ inside. This is what makes you the person you are, and that person deserves to be healthy and enjoy life to the full. Kristy, who lost over 40lbs on phentermine says, “Always remember that you deserve to feel good and feel like you could walk for days without being tired. You deserve to be healthy and no food is worth that.” By making the right choices you are choosing right for your health, your body, your wellbeing – for you. Although your loved ones will support you, and you may find motivation in wanting to prove your doubters wrong, at the end of the day it’s you who will benefit from your weight loss and you who will lose out if you don’t take the opportunity to do so. As Victoria, who successfully lost an amazing 77lbs on phentermine, says, “You are the only one that can do this for you.” However, Neva, who successfully lost 47lbs with phentermine, urges that you asses where your desire to lose weight is coming from before you start; “It works only if you are ready; you can say it in your mind but if your heart is not ready, it will not work.” So, do it for you and do it from the heart. Are you feeling inspired by these phentermine weight loss lessons? Please let us know what you think by commenting below! I started phentermine 1 year ago. I have lost 120lbs and over 40 inches over all. I feel so much better. I have to admit I’m terrified it’s going to come back or I’m going to stop losing. With determination I believe I can lose another 80lbs this next year in my own. My goal is 200lbs by the end of 2016. Any phentermine doctors in Italy or online ? We’re not sure about the laws regarding phentermine in Italy but it’s likely that it is a prescription-only medication, as it is in the US. Have you tried speaking to your family doctor to see if you can get it on prescription? Or, if not, there may be weight loss clinics in Italy where you can go and speak to weight loss specialists. I live in Quincy, California. My health care professional is not interested in prescribing any weight loss drugs. Do you have recommended doctors that will prescribe? I have 30 pounds to lose and am really struggling with weight loss even with diet and exercise. Any suggestions? Your best bet is to join the Facebook support group where you can chat with others taking phentermine. There, you can search for your town and see if anyone has asked about it previously and if not then you can post a question asking if anyone knows of a doctor in your area. Good luck with your search! I live in Reno and Dr. Yco prescribed it for me. I’ve just been reading the above posts about ordering online. I have just placed an order on this website and it didn’t mention anything about laws. Or doctors prescriptions?! Have I ordered off a dodgy site? It was through this site? This site, phentermine.com, is a reference site with information about phentermine, including FAQs, blog articles and reviews. We don’t directly sell anything and we make it clear that phentermine is a prescription-only medication. 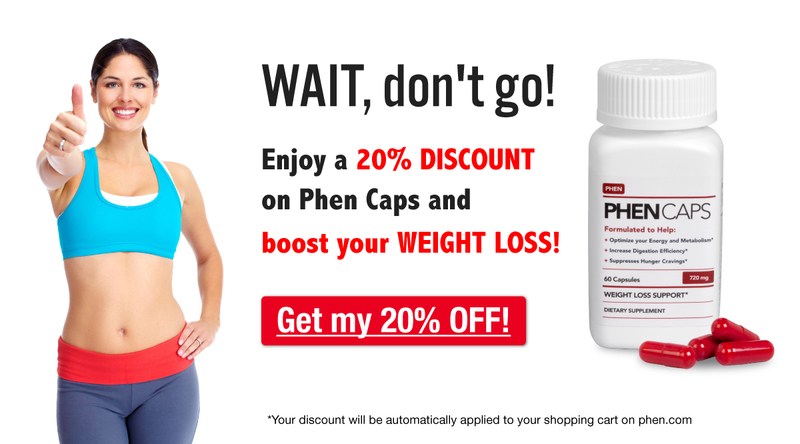 However, we do provide links to other sites who sell phentermine alternatives such as phentarmine and phen caps. None of these are the same in terms of ingredients as the phentermine you would get from your doctor but they are a viable alternative for people unable to get a phentermine prescription. If you feel that you’ve been misled then we would advise you to contact the site you purchased from. Hello I started taking phentermine close to five years ago I lost 52 pounds in about 5 months I kept the weight off for about 3 years then I gained back 20 pounds. I have gone back to taking phentermine but I am not getting the same results. I have never really stopped taking it completely for the past two years I just take it for a couple weeks when I feel like I have gained weight. So i would like to know if this pill is not going to do anything for me anymore or if there’s something that I can do to make it work again?? i have been on phentermine for 2 months now. I was losing weight and now for the last 2 weeks i cant lose any more. i have a fit bit and walk 20 to 27,000 steps a day. i also take 5HTP with it. I am drinking tons of water and eating much better. I feel as i should have lost more weight then i did as it was 12 pounds in 5 weeks then 2 pounds. and the last 2 weeks nothing. i am unsure why i stopped losing . I feel as i cant get in anymore steps then i already do. Any advice also i am 47 years old. that could be a big part since i am older. I am 5ft. 3 and half inches and stuck at 182 pounds. Getting very irritated and about to give up even though i dont want to yet. My dr Recommended that I take a half dose for 2 weeks to see how I tolerated it. I was a lil shaky the first few days but leveled out. Did not lose a pound, now going on full pill. Anyone had this experience! I do have hypothyroidism and am 55 and post menopausal ? Please let me know!